If you have a well on your property, you can consider yourself very fortunate at a time when water shortages are becoming common. The serious droughts that have been experienced in recent years have led people to look for alternative sources for their water needs. If you have a well water system and you have been wondering if the water you are consuming is safe, the good news is that there are ways to find out. A simple water test will help to give you the peace of mind that you need. If you are worried about the water quality in your home, there must be a reason for this. Chances are that by the time you call in the experts, you suspect that you might have a problem. The fact is that your senses can tell you if all is not right. Long before you reach for the instruments, the taste, smell, look and touch can often help you to determine if your water contains contaminants. It is usually quite easy to know if there is a problem with your water. If your water has a yellow, orange, brown, red or cloudy appearance, it is safe to say that you have a problem in your hands. This can signal the presence of rust, iron or other contaminants that can usually be traced to the plumbing or water mains system. If your water has a green or blue hue it can mean that your plumbing is corroded thereby causing copper to get into your water. Good quality water should always be colorless and clear. If your water emits a rotten eggs odor, this is a good sign that you have a situation with hydrogen sulfide. This problem is usually caused by some type of bacteria and the water is usually salty-tasting. If the water smells more like pool water than drinking water, you have chlorine to blame for it. In some cases, chlorine is applied to water to disinfect it. If too much chlorine is used, you will not want to drink that water. Fortunately, there are other ways to treat drinking water that do not involve using chlorine. It is one thing to know that you have a problem, but another to get the solution. Fortunately, that is where the experts come in. When you spot water contamination; you need to call in the professionals so that you can get a solution that is tailored to your needs. Dealing with water contamination can be a complex problem but fortunately, there are treatment and filtration systems that work effectively. The experts will use the test results to recommend the best system for you. A number of chemicals such as mercury, copper, lead, iron or arsenic, can get into the well system. When this happens, your water will have a metallic taste or smell. These chemicals could be from the pipes and in this case, you will need to have the pipes replaced. Quality water is odorless and it should taste refreshing. 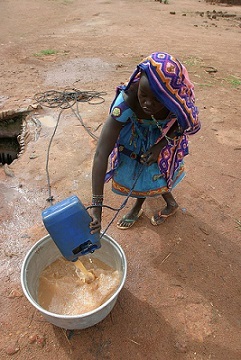 This is not always simple especially when dealing with well water. Sometimes, water can contain undetected problems. Therefore, it is important to get regular water testing to make sure that your water is safe at all times.